Attached you will find the 'elevator pitch' for all the parent council committees. If you are inspired to join or learn more, please email Amanda White (amandawhite30@hotmail.com) to be added to that committee's email group. Committee Chairpersons just received their email lists this week and will be sending out an email to their groups in the near future. C'mon and join us - it's fun! www.knowyourvoteto.ca is a site that the TO Library has created to let people know the candidates in the upcoming election. Please read and don't forget to come out and vote - don't miss your chance to have your say! 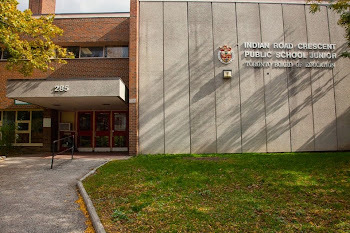 Welcome to the 2018/19 school year at Indian Road Crescent! Thank you to all those who attended the September Parent Council Meeting. You can download the meeting minutes here.